The first thing to do after unpacking the box is to put your ARION insoles into your running shoes. Check out the video below or follow the steps underneath. Step 1: What's left and right? Make sure you're inserting the right insole into the right shoe. 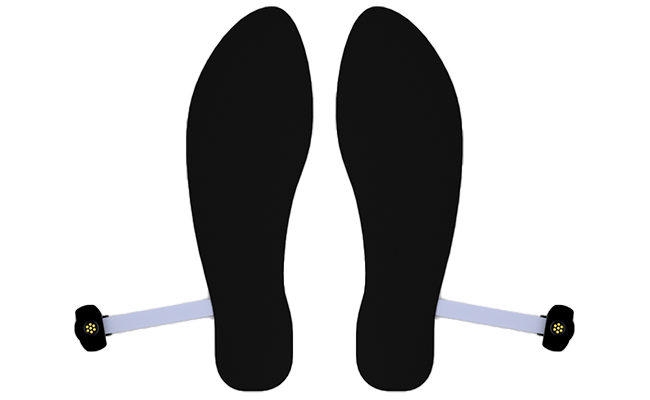 To check this simply lay the insoles out side by side with the connectors facing up (see image below). This helps you to understand which insole's which. The ARION insoles are designed to lay underneath your own running shoe insoles so they don't affect your usual running performance. Therefore, first take the original insole all the way out. The easiest way to do this is to create a tip from the point of the insole. This way you can easily slide it all the way to the point of the shoe. 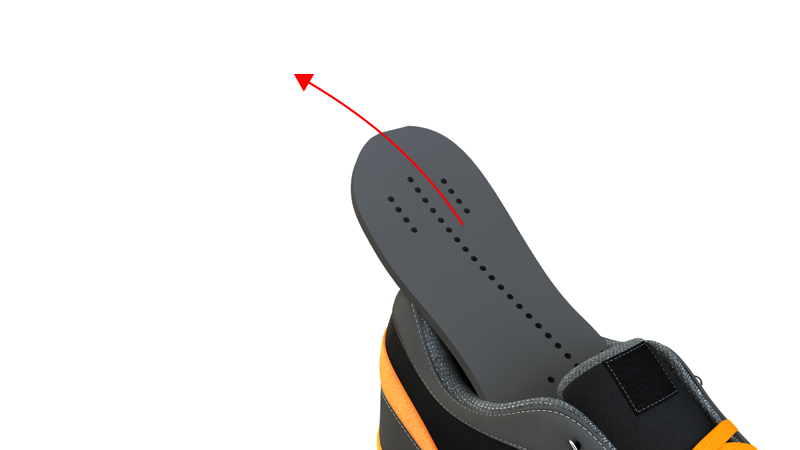 Make sure the insole is nice and flat, and that the insole is aligned with the back of the heel. The clip is attached to the side of the shoe. It's quite tight, to make sure it stays into place during your run. If you're having trouble attaching this clip, it often helps to first place it somewhat more forward and then slide it back to make sure it's securely fastened. Now take your original running shoe insole and place it on top of the ARION insole. 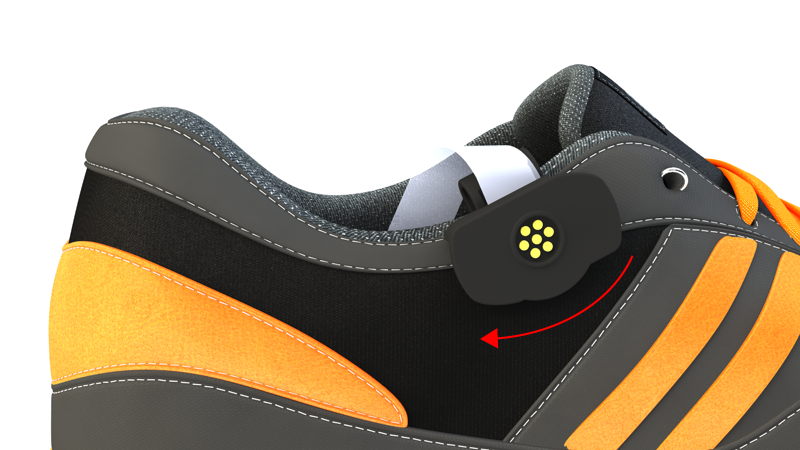 It will still accurately measure your data even though it's placed below another insole. 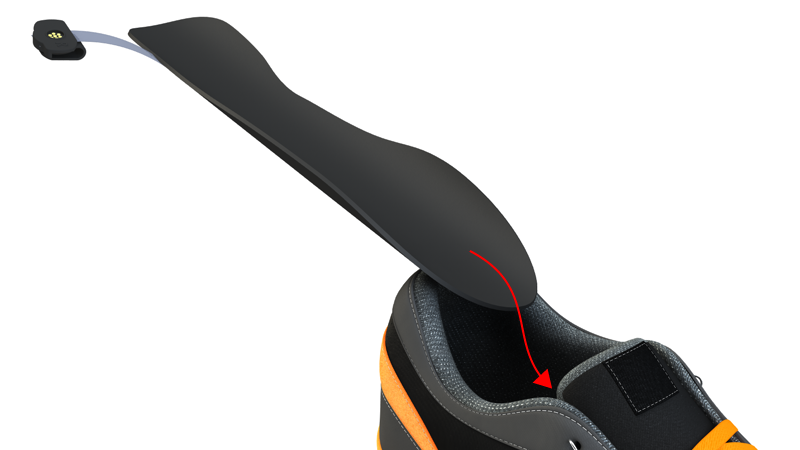 The ARION insoles will even work in combination with orthotic insoles. You can even try running with and without orthotics to measure the differences!. Note: We do not recommend using the ARION insoles without other insoles over the top. This is possible but the ARION insoles will wear out more quickly. Ready? Are you footpods charged? Let's continue by pairing your ARION footpods to your phone.